Hi there! Stampede is expanding our UX team and looking for UI/UX designers to join us. We believe in doing the right things and in that spirit, we are looking to hire the right people — those who are humble, hungry and smart. This is a full-time remote position and currently available for Malaysians. You will be taking our UX strategy and translating it into UI design, working closely with the principal designer, business and tech teams to deliver high-impact design outcomes. You will be creating cohesive style guides, ensuring that a consistent design language is applied across the product. You will also be designing motions and interactions within the product, providing visual clues as to how to use the product. At the end of the day, you will be shipping the product and testing your design based on real data and insights from the user. You will also be exposed to the whole spectrum of UX design. 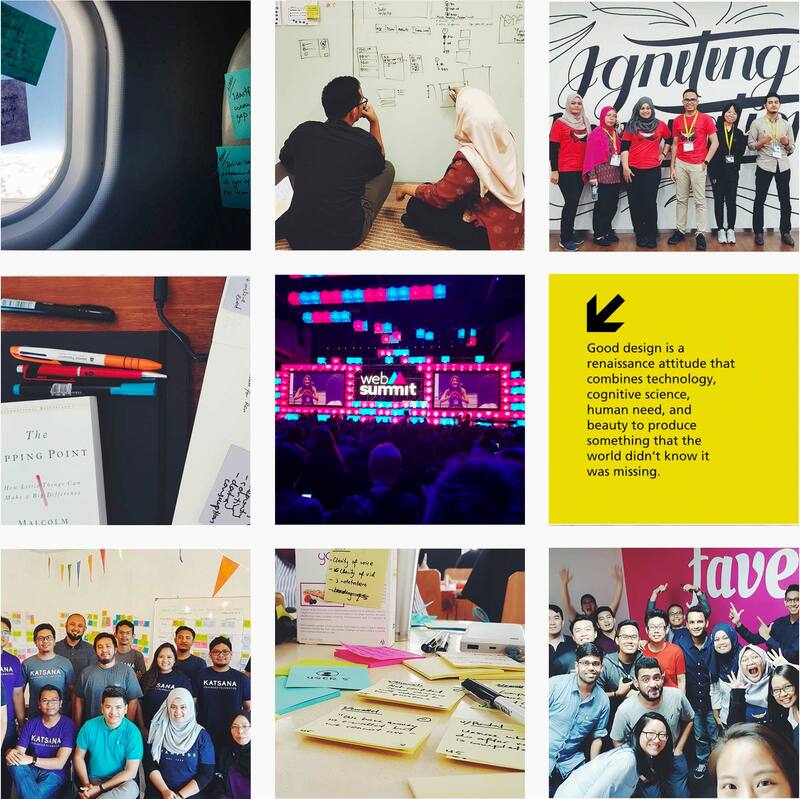 If you’re looking for opportunities to do practical user research, design sprint, content strategy, data-driven design, usability testing and design system, this is the place. You will be designing for businesses and teams with high appreciation for UX.Here you will learn how to untangle the chaos at early stage UX and lead focused and purpose-driven design execution. You will spend less time getting buy in and more time doing real work. This is the choir. If you fit the above description, we encourage you to apply. We’re not accepting applications from agencies, part-timers or freelancers. To learn more about Stampede, read on. 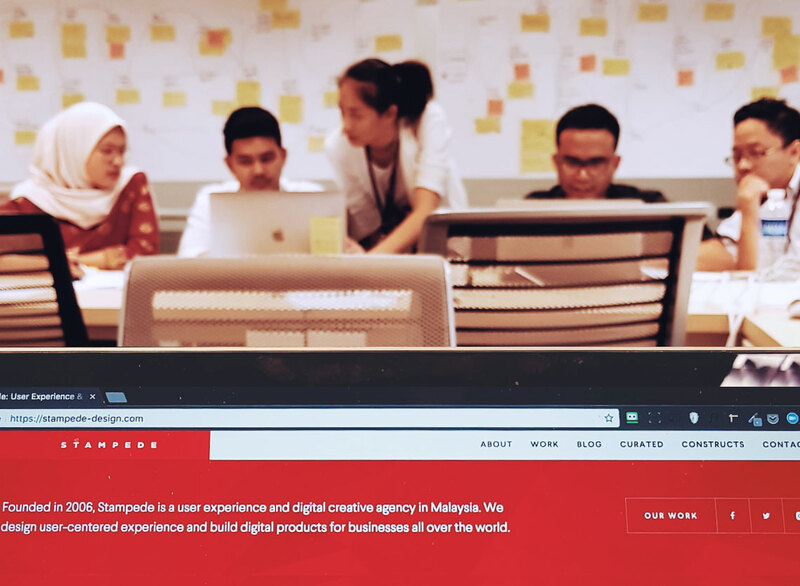 Stampede is a UX agency based in Malaysia, founded in 2006 with distributed team in Malaysia, Indonesia and the Philippines. We work with many products, enterprises and startups, locally and internationally. We’re solving problems across many different verticals and our design solutions touch millions of users. Our UX clients include PETRONAS, Touch ‘n Go, MaGIC, Katsana, MDEC, Malin+Goetz, Piktochart, PurelyB, Recommend.my, Joota, Australian city councils, and Foundation for Human Rights in Cuba, among many others. We write about our work and design process extensively too. We’re also part of UX Malaysia. You believe in doing the right thing. Doing the right thing is your true north. If you have to choose between easy, lucrative, Dribbble-worthy or professional discomfort to learn something new because it’s the right thing to do, you won’t even pause to choose. If you read Simon Sinek, doing the right thing is your WHY. You write your design well. Every design at Stampede is delivered with an accompanying design rationale. It is written by the designer and puts the user success at the center, in alignment to business goals and achievable through design and technology. You are happy to walk your readers through the thought process for each design component and how they serve the product goal. You like working with people. Whether it’s users you’re designing for or team members you’re working with, you’re genuinely interested in their perspectives and needs that might be different from your own. You seek to understand others and develop empathy for people around you, which in return will help you design better products and be stronger collaborators. You are business-adept and tech-savvy. Your UI work is based on design, business and tech goals, without losing focus of the user. As a designer, you have great respect for developers and you give value to business. You know that design is no art and UX without ROI is no good. You are professional, motivated and reflective. You design people’s experience of interacting with you. You are inspired to tackle a new problem and motivate those around you. You actively advocate, execute, plan and write about UX and your lessons learnt. You can zoom in and out of multiple product designs effortlessly. Your critical thinking and problem solving skills applies to micro product detail but you can also go macro at the product principle level. Stampede is a tight team running 15+ projects of various stages at the same time and we appreciate someone who is nimble and sees multiple product ownership as opportunities. You are ready to catch that flight. You have flexibility to travel to client locations, both local and international, sometimes on short notice, when the occasion calls. Get on that flight, take that Grab and be the UI/UX designer the product needs. Note: We value your time and wishes you the best culture fit for your career. Your job growth and fulfilment are important so if you have one of these characteristics, we discourage you from applying. You are not an extremist (!) You’re not a graphic designer or digital artist. Nor are you a UX purist or researcher. These are the two far extremes of the UI/UX skill band. A UI/UX designer sits at the intersection and we’re looking for someone in the middle to get things cooking. You don’t go “Sorry not my problem”. We respect people who take accountability and initiative to do the right things. At Stampede, design problem is a team’s problem. Programming problem is a team’s problem too. If you face a problem, the team will make it their priority to help you with the problem-solving process. They will trust you to do the same. You are not a solitary ninja superstar. Although Stampede is a remote team, we communicate and collaborate excessively with each other. If you prefer to work alone to produce your next masterpiece and finding it difficult to thrive when collaborating closely with others, this job will not be ideal for you. You are not job-hopping. We try hard to get designers with the right cultural fit. And we give them autonomy with the development team and direct access to the business users. Stampede’s current average employment term is 6.5 years so you will be joining a design-mature team. If you see this solely as a stepping stone to the next salary grade, this is not the right job for you. Stampede is a remote team, and has been so since we started in 2006. We work from our home offices and other locations around the world. We do this because we want to unlock time. The math is simple. When you are no longer commuting 3 hours everyday to work, after waiting for 3 hours until 8pm for traffic to ease, you have freed up additional 6 hours of your day. These hours were previously locked—it’s just what you have to do to get home. You then repeat the same day tomorrow at 6am. Working remotely, you have the freedom to structure your day. You get to work with a dream team not limited to their locality. It empowers our people to make the best use of their productive time. It reduces our meeting time and increases our creative time. And not being next door doesn’t stop big corporations from hiring us. Are you new to working remotely? Awesome, find out how we do it on our Stampede Handbook or check out our slides from the Remote, Co talk. Yes, we are just as productive and efficient at work. And no, we still wear pants. In your first week, you will be introduced to our team, culture and work process at our Denai Alam office. After that, you will be working fully remotely from any location in Klang Valley. 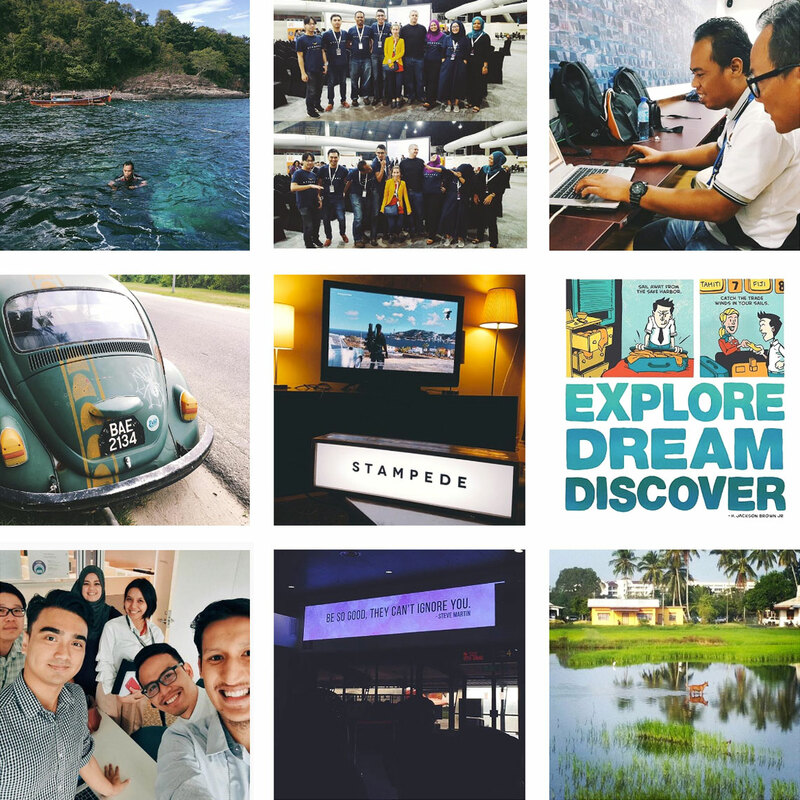 Flexibility to travel is key — you will be joining our UX team at various client sites in Malaysia and other ASEAN countries and be directly engaging with users and businesses throughout the probation period.